When you think of berries, what usually comes to your mind? Their characteristic taste and color. The berry shrubs paint a pretty picture – with those colorful and ripe berries hanging in a bunch against bright green leaves. And I feel the most beautiful and richest among them has to be the cranberry – don’t you agree? Apart from the color, there is immense food value associated with it. Because of the nutrients and vitamins it offers, cranberry is considered to be a superfood. Don’t believe me? Read on to find out! Why Are Cranberries Good For You? What Happens If You Binge On These Berries? Cranberries are evergreen shrubs native to Britain and North America. Belonging to the Vaccinium family, they have the characteristic pungent and sharp taste – similar to blueberries and lingonberries. Cranberries owe their superpowers to the presence of flavonoids, antioxidants, anti-inflammatory agents, organic acids, and polyphenolic compounds, along with high amounts of vitamin C and dietary fiber (1). These bioactive compounds together weave magic and heal your body from various stresses. What’s so special about these berries that make them a mandatory addition to your diet? If you ever Google for an answer, the first hit that pops up is their use in treating Urinary Tract Infections (UTIs). Is that it? Read further to know more! Cranberries, if taken in the right quantities, stimulate the production of good cholesterol (HDL). The polyphenolic compounds regulate the levels of triglycerides and HDL in the blood (2). This, in turn, protects your body from heart attack, diabetes, and obesity. The pigments (proanthocyanidins) that give the cranberries their characteristic color are responsible for this activity. These compounds do not let the harmful microbes affect the gut, according to a study (3). They also repair the inner cell lining of the gut and cure stomach ulcers and regular wear-and-tear. By lowering LDL and associated triglyceride levels in the blood, cranberries can keep heart attacks and cardiac arrests at bay. The anti-inflammatory compounds present in them help in regulating blood pressure by providing relaxation to the blood vessels. All the name and fame that cranberries have got is because of their ability to heal and prevent UTIs. The flavonoids stop bacteria from attaching themselves to the internal cell lining of the urinary tract (4). Since bacteria cannot grow without attaching to a surface (adhesion) in our body, they get swept away. What could be the effect on kidneys, then? If untreated, UTI may spread to the kidneys – the worst it could get! You might have to take high doses of antibiotics to treat the infection. Such damage to your kidneys might lead to hospitalization. In rare cases, if the bacterium is a tough one, a relapse might occur, targeting the other vital organs too. Cranberries are super effective in protecting the kidneys from inflammation, thanks to the anthocyanidins present in them. One of the prominent reasons for having cranberries could be this – glowing skin. With around 98% water, 24% vitamin C, and high levels of antioxidants, cranberry is your go-to food for glowing skin. How about having a crushed cranberry relish for dinner today? A 2016 research claims that including cranberries in your diet protects you against 17 different cancers (5). The anti-inflammatory and antioxidative polyphenols stop cancer cell proliferation and metastasis and inhibit tumor formation and growth. These berries boost the activity and number of certain types of immune system cells (B-cells, NK-cells, etc.) along with specific enzymes involved in defense mechanisms. Similar to how they fight UTIs, cranberry’s active components reduce the probability of bacterial infections during pregnancy. Contrary to the myth, they do not trigger any congenital deformities in fetuses or post-partum complications in women, if taken within limits (6). Cranberries can also do a favor to your teeth. Research claims that the anti-inflammatory compounds reduce the formation of biofilms on the teeth and gums, which could induce tooth infections and decay (7). 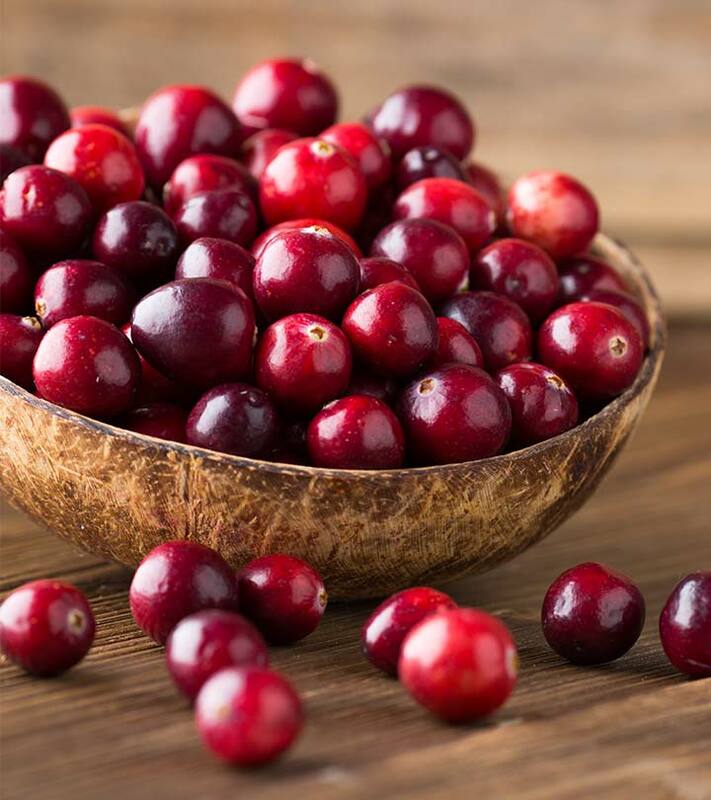 Due to its effect on the urinary tract and in treating UTIs, cranberry extract might help deal with benign prostate hyperplasia (BPH) and related disorders. 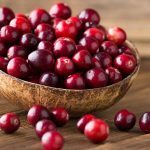 Though there isn’t a lot of research backing this, it is said that cranberries could also help treat prostate cancers (8). 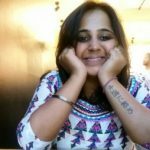 I have a thought that pops up in my mind when I read through these benefits. Wouldn’t it be nice if you could find these berries throughout the year? You’d have a single solution for all the problems (almost)! It is possible! I’m sure you must have heard of dried cranberries. Let’s check out which ones are better. Fresh cranberries contain high amounts of vitamin C, carbohydrates, water, and potassium. In contrast, dried cranberries lose these components, but retain high amounts of sugar and carbohydrates. Dried cranberries taste sweeter than the fresh ones, but should be used sparingly due to their sugar content. So, if you are looking for a nutritious snack that doesn’t fill your tummy yet satiates your hunger pangs, fresh cranberries would work the best. Fresh cranberries can be added to enhance the flavor of salads, sauces, muffins, sides, and braised main course. Another option you could try is frozen cranberries. The frozen ones retain the most of the macro- and micro-nutrients. They also don’t contain excess coated sugar, fiber, and additives like the dried cranberries. Mind you, the dried and sweetened version available at supermarkets has higher sugar content than the fresh berries. So, choose wisely. Alright! Because you read all your way till here, I’m going to share my favorite recipe with you. It is super quick, tasty, and, of course, healthy. Scroll down. Preheat your oven to 350o F.
Mix sugar and butter. Add the eggs one by one while whisking the batter. In another bowl, mix the flour, baking powder, and salt. Add milk to the butter and sugar batter and whisk. Then, add the flour mixture to it and whisk. Alternate the flour and milk addition while whisking the contents thoroughly. Add the cranberries and gently mix. Add the nuts (optional). Fill 12 butter paper-lined muffin molds, about three-fourths full, with the mix. Bake until they turn golden brown or for 25-30 minutes. Serve while they are warm. Thank me for the recipe when the flavor explodes in your mouth! 2. FRESH CRANBERRY JAM: Just For Your Holidays! Carefully cut each cranberry in half to prevent them from popping as they cook. Add the halved berries to a small saucepan, along with the sugar and water. Bring it to a gentle boil. You should see that the mixture has thickened up to produce a rich jam. Set it to cool for a while. Serve with freshly baked bread, cookies, tarts, pancakes, or even waffles! Such a versatile fruit the cranberry is. Isn’t it? With all the benefits, prolonged shelf life, and out-of-the-world recipes, do you think you can have a kilo of cranberries thrice a day for best results? Unfortunately, NO. Blood thinners like warfarin (coumadin) might react with the bioactive compounds of cranberries and cause severe bleeding issues. Consult your physician for a detailed diet plan if you are on blood thinners or have cardiac complications. Due to high levels of oxalates, cranberries might react with the calcium present in the body to form deposits (stones), specifically in the kidneys. This might happen if you take large amounts of cranberry extract or tablets. Hence, moderation is key, and we would not recommend taking cranberry as an extract without explicit physician advice; real food is usually optimal. If you are diabetic and regularly include dried (and sweetened) cranberries in your diet, you are at risk for pendulous blood sugar levels. These berries contain sugars that increase blood glucose levels and might worsen your condition. Please run by all nutrition intake of yours by a physician or registered dietitians, especially sudden changes in diet. After judging and doing the whole pros vs. cons game, I’m going to say a big YES to cranberries. However, I can’t bring myself to like the berry-flavored cough syrup! So, go on and embrace the goodness of beauty and brains by befriending the berry, ideally in its fresh form. If you have any questions regarding cranberries, find the expert’s answers to some of them in the FAQs. Thank you for taking time out to read this piece of information. Please try that little recipe (my favorite) and write your feedback to me in the comments section below. How to choose the right ripe berries? Pick those having a clean, shiny, and plump appearance and are firm to touch. Do not pick shriveled berries or the ones that have brown spots. Fresh berries bounce when you drop them. You could buy good quality, home-grown cranberries here. How do you store cranberries so that they last longer? Get rid of the shriveled, pitted, and spotted berries. Clean any traces of moisture. Store them in a dry, clean bag in your refrigerator. They might last for up to 15-20 days. For extended storage, spread the berries on a butter paper or cookie sheet and pop the tray into the freezer. Once they are completely frozen (might take a day or two), you can put them all in an airtight bag and store in the freezer. They might last for 6-8 months or more. What is the right way to eat a fresh cranberry? Can you eat it raw? Cranberries have a tangy, tarty taste, which not many like. They can be eaten raw after you have thoroughly washed them in warm water to get rid off any dirt or chemicals on the skin. If you don’t like them raw, you can cook them along with lemon, orange, and sugar or some honey to make a crude, basic sauce. How many cranberries can one eat per day? The recommended quantity of 1 cup of chopped cranberries (raw) has about 50 calories and 5 g of dietary fiber. Read the nutrition information on canned, dried, and sweetened berries and decide the intake. Consuming too much of dietary fiber might result in diarrhea and bloating, while high-calorie food can be dangerous to the cardiovascular system.